More American households are able to access fiber than ever before; as of the third quarter of 2016, 13.7 million homes are directly connected to fiber. And 30.7 million homes have fiber access. 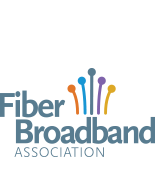 There are more than 1,000 communities with fiber networks in North America. Notably, here in North America, smaller internet providers are playing a big role in bringing more fiber to consumers. While the large, national providers accounted for 52% of the fiber built in the last three years, smaller companies and systems built the other 48%—almost as much! These other providers include about 1,000 telephone companies, municipal owned networks, private competitive providers, cable companies, electric cooperativess, and wireless providers throughout North America. Below are a few of their success stories. Like many rural areas in the U.S., Dayton, Ore. has struggled to keep and attract the young professionals—a necessary talent pool for the next generation of innovation for the area’s growing agricultural technology industry. To meet this challenge, fiber provider OnlineNW partnered with Innovate Oregon and the Dayton school district to create Innovate Dayton – a program that built an agile learning environment supplemented by real-world experience and community engagement opportunities for Dayton students from local companies and wineries. This is the story of how fiber supports an innovation ecosystem across schools, non-profit organizations, local businesses and government entities in Dayton. GVTC, a fiber provider serving the area north of San Antonio, Texas, is a 60-year-old telephone cooperative that is winning the competition for subscribers through its upgrade to all-fiber. GVTC is the story of how fiber to the home can take a small communications company to business success while bringing world-class connectivity to the Texas Hill Country. Spiral Internet, in Nevada County, Ca., began to deliver Internet in May 2006 to a community of over 200 non profit organizations and 1,500 customers who wanted friendly, reliable Internet access, web site hosting and technical support. In 2015, Spiral launched the Bright Fiber Network, the first gigabit 100% fiber optic to the home/business Internet service in rural northern California. LUS Fiber is the municipally-owned Internet provider in Lafayette, La. A part of the Lafayette Utilities System, this is one of the first fiber to the home networks built out in the U.S. In it’s over ten year history, LUS Fiber has helped Lafayette create new jobs, attract new companies and improved the city’s economic outlook. In just the past two years, three high-tech companies committed to bring more than 1,000 new jobs to Lafayette, with total new wages exceeding $60 million per year.